Some of you have probably already made - and broken - your New Year’s resolutions for 2016, to include common personal ones like losing weight, doing more exercise, eating better, and quitting bad habits. However, consider making and sticking with some work-related resolutions as well as personal ones to keep you on track professionally. The following list from the paralegal perspective, but it can be applied to any position in your law firm. FOCUS – January is the time to revisit time templates or to resolve to go back to good habits allowed to lapse, like using planning organizers. Lawyers with Purpose provides you with time management tools as well as a range of focusers, including those for daily, weekly, and monthly planning. Make sure your time template has time devoted to planning each and every week. Time spent planning will be repaid in increased efficiency and goal attainment. Every year I make myself a New Year’s gift of a great calendar as a reward for planning ahead. This calendar can be paper or digital, whatever your preference. EDUCATE – Plan and prepare for further career development by identifying where the gaps in your knowledge and experience are, and deciding how to go about filling those. Or perhaps you want to hone part of your existing skill set. The mind, like many other tools, needs to be kept sharp to work at its best. Lawyers with Purpose offers you various ways of keeping informed and educated, including ListServs for BOTH the attorneys and their team members, blogs, and webinars on the event calendar. There are also the Tri-Annual Practice Enhancement Retreats (TAPER), which offer legal-technical focus sessions in addition to firm planning and personal development. CHECK IN with your goals and/or set new ones. It’s been roughly three months since TAPER in Phoenix, so it’s the midpoint of the period during which many of you resolved to implement some projects. Have your efforts lost steam? This is a great time to reassess derailed projects and set tasks to get them back on track. If you did not attend the last TAPER event, now is a great time to set new goals. There are tools on the LWP website that you can use in your "Brainstorming Sprints", as well as project focusers like the "Money Plan" and "The Implementation Focuser". RENEW your commitment to the system. Have you been so busy doing the work that you haven’t had time to do the necessary data input crucial for tracking? Regardless of what file management system you may use or whether you are still using paper files or have gone completely digital, attorneys must allow time for their team members to perform all the file maintenance required. If you don’t schedule regular maintenance – just like a car – the engine starts to run rough and may stall. Remember, it may just take 10 minutes to make a phone call, but it can take 5 minutes more to document the phone call, potentially mark a task complete and then schedule a follow-up task. In a typical work day for the law firm, I spend easily an hour of my time on file maintenance alone – adding file notes, scanning and uploading documents, marking tasks done, scheduling follow-up tasks, updating status of file in workflow, linking emails. It is this maintenance that permits you to track the work being done in your firm and hold team members accountable. Pull up your reports and identify where clean up must occur and schedule time on your template to chip away at any overdue file maintenance. Finally APPLY the 4 D’s of time management – delete, delay, delegate, and do – to any and all of your lists and/or piles in your office. There are variations of these terms, so feel free to adopt the version that makes the most sense to you and your job responsibilities. With this strategy, you review incomplete tasks and decide whether you are going to delete, delay, delegate, or do the task. If a task is no longer important or relevant, or perhaps is already done, can it be deleted? Or you may have a task that you would like to do one day, but it can be deferred or delayed to a later time. Don’t lose sight of this task by adding it to a focuser reserved for remote future planning. Meanwhile, delegate those tasks that can be done by someone else, preferably someone who can perform the task better than you could. Finally, whatever is left over, you do. These might be tasks that can be done in 10 minutes or less and just need to be completed, or they may be tasks of higher priority that need to be scheduled immediately. These five recommendations are my professional resolutions for 2016. By focusing on planning, scheduling time for education and training, checking in with previously set goals, renewing the commitment to your file management system, and applying the 4 D’s of time management to any pending matters, you can reboot your system, so to speak. I invite you to join me in resolving to start the new year with a fresh beginning – professionally and personally. Happy New Year! If you want to learn more about becoming a Lawyers With Purpose member and what we have to offer your estate or elder law practice, join us this Friday, January 22nd for a FREE webinar "How You Can Have the Business, the Income and the Life that You Once Dreamed About When You First Started Your Practice. Click here to grab your spot today. 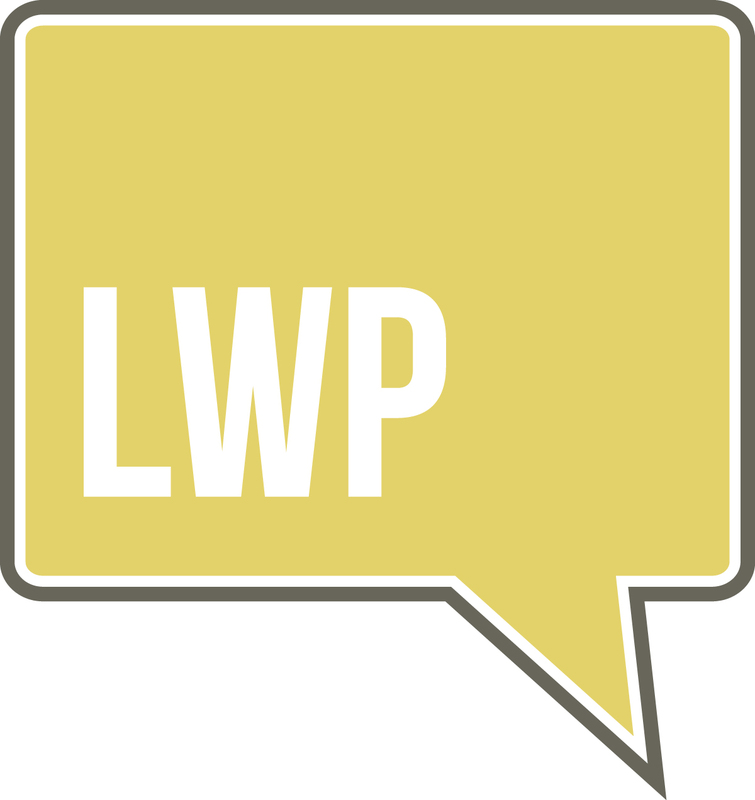 As the Education Director for LWP™, it has been my privilege to take part in the development of the TAPER programs and to work with the amazing staff that makes these events unique. We’ve all been to the (yawn) lawyer conferences that should be advertised as a cure for insomnia. Our goal at LWP was to create a unique experience that advances the members to the next level by providing the tools to create a dream future, gain energy, engage the team and get focused. It only takes a moment to feel the energy in the room and know that you are not at an ordinary legal training event! As an LWP trainer, the Tri-Annual Practice Enhancement Retreats (TAPERs) offer the opportunity to “pay it forward” and pass along some of the lessons that experience has taught. I’m particularly excited to be presenting a focus session on adding an Associate Attorney to your LWP firm. As an LWP Mentor Coach, there is incredible satisfaction in watching from the sidelines as teams break through the barriers and find the road to success. The TAPERs are an opportunity to touch base with those teams, put names with faces, and really see the energy develop around their own futures. As a member of LWP, the Practice Enhancement Retreats have always been a highlight, something that goes on our annual calendar the moment we learn the dates. We look forward to them as a team because we are anxious to shift focus and work ON the practice rather than IN the practice. The retreats are aptly named “retreats” because they are truly a time to get away from our day-to-day world, reflect on where we’ve been AND set the course for the future (whether that means the next weeks, months or years). There is no denying the energy burst that comes from attending an LWP Retreat, and that is why LWP is doing them more often. If we could get an energy burst once a year, imagine how powerful three of those bursts per year would be! Triple the impact! For the last two years, I have shut down my law firm not once, but three times each year – and I really mean “shut down,” since the ENTIRE TEAM attends every retreat. That is the value of these events – every single member of the team gets a customized experience with the opportunity to focus on both professional and personal growth. What a difference! The team has taken ownership of the firm, and ownership of its own growth and development. As a business owner, the thought of shutting down the business for any reason is scary. We ask: “What about the lost revenue?” “What about the expense of flying everyone around the country and putting them in hotel rooms?” “What about feeding them?” “Dollars seem to be flying out the window!” All of that is real. It IS expensive to attend three retreats every year, until you realize that this is NOT an expense – it is an investment. It is an investment in the future of the business made without hesitation because the ROI is exponential. The payoff is a team committed to the firm’s future, a team working together for common goals, a team dedicated to personal and professional growth, a team poised to push each other toward personal goals, a team that understands the power of teamwork! And it shows in the bottom line. Despite and because of the three weeks per year of shutdown, our revenues have never been higher. That is the power of the LWP Tri-Annual Practice Enhancement Retreat. Don’t take my word for it; find out for yourself. Join us in Phoenix and feel the power! Early Bird registration is open! If you're ready to reserve your spot now email Amanda Ross at aross@lawyerswithpurpose.com or just call 877-299-0326 and she's standing by to help get you're seat reserved!